Step 1. Open your Gmail Inbox and click the Contacts link in the sidebar. Step 2. 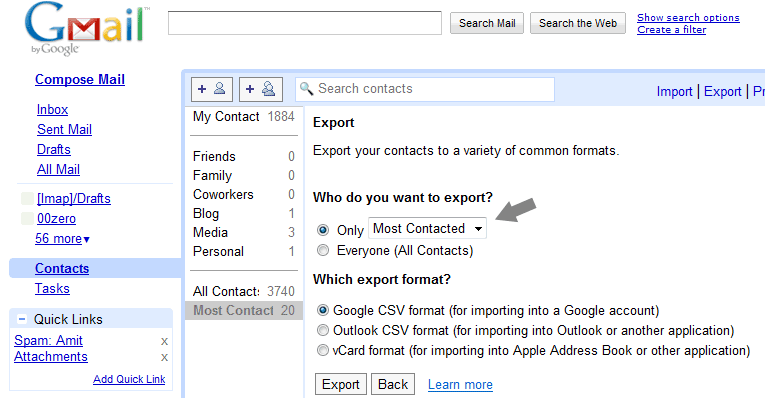 Click the Export button and choose the “Most Contacted” option in the drop-down to export all those email address in a single CSV file. Step 3. Save this file to a safe location as you might need it if your Gmail Account is hacked.